For those of you who know math that means I have reviewed four of these cigars and for those of you who know math and know about the Tatuaje Little Monsters series you will know that this review of the Mini Mumm will complete the Little Monsters series for me. While reviewing all the Little Monsters isn’t as arduous a task as, say, circumnavigating the globe in a catamaran I’m sure I’m liking reviewing and smoking these cigars more than puking my guts up in the South Pacific and being accosted by pirates off the coast of Sudan (damn Somalis!). It starts off with amazing, deep flavors. A bit of spice, leather, anise and maple. There’s a lot of depth to the flavors, at least in the early goings, and there is a good deal of complexity as well. Even though it’s still early I think this might challenge the Frank Jr. as my favorite Little Monsters cigar. The second third is still good but the depth of flavor has slackened a bit. I’m continuing to get leather and maple and a bit of anise. There’s also a bit of hay that is very faint. Leather, hay and some spice has reentered the fray. It’s still a good cigar with some complexity and depth of flavors. Medium bodied with a good draw and burn the Mini Mumm started out amazingly but didn’t live up to that first third, which is fine because that first third set a really high bar and even though there was a drop off it wasn’t a huge drop off. From beginning to end the flavors you are going to get are deep, expressive flavors that will definitely keep you interested the whole time. 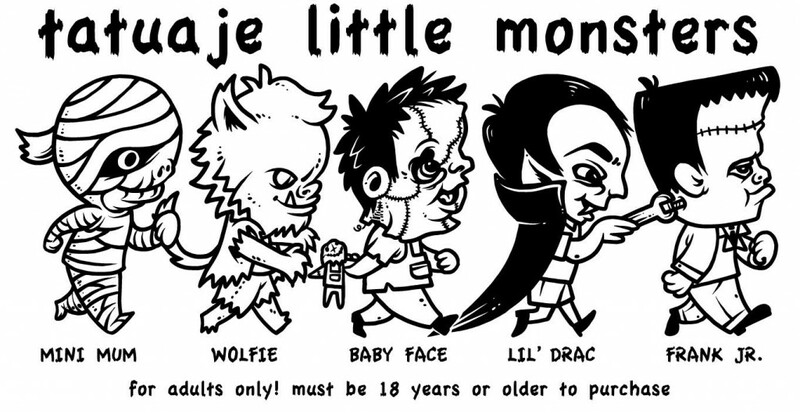 Of the Little Monsters this one is my second favorite.